For so many owning a home is the American Dream. Community growth is what makes a neighborhood valuable. Towns with roots are the kinds of places people want to live and where economies flourish. But making that dream a reality and keeping it a reality for generations is not something that comes easy. And unfortunately there are organizations out there that have made it their business to exploit those most vulnerable. 20 years ago owning a home was the farthest thing from my dream. My dream was simply finding a roof for my daughter and I as we sat in a shelter. My parents never owned a home. My father died in 2010 having never acquired property of his own. My mother currently resides in the house her parents bought in the late 1960s, a home that I treasure and have always known as my family home. A home my grandparents purchased after leaving the segregated south to build a better life for our family. 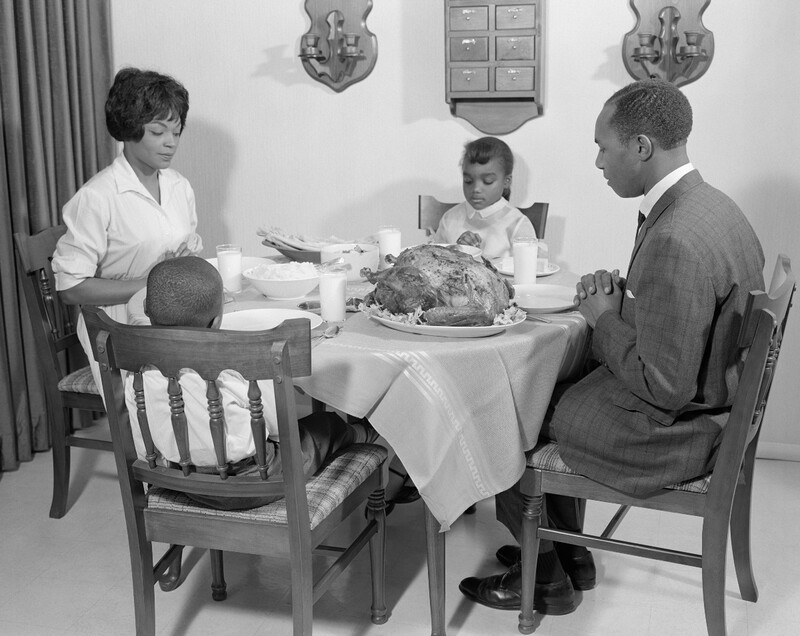 Even with my grandparents’ great example, I still suffered homelessness as a child and again as a teen mother. Owning a home was never part of my dream until it was. As my family grew my dream expanded to include the American Dream of a white picket fence and a yard large enough for my children to play in. That dream became a reality 9 years ago when my husband and I bought our home in 2007. But during that same time other families, who had also worked hard to finally realize this dream, began experiencing foreclosures at alarming rates. Families were facing a reality of homelessness I knew all too well. Banks and shady businesses preyed on many of these homeowners, promising to help them retain their homes only to watch their dream be ripped away from them. These families needed a place to turn to, a place where they could have found information to help them preserve that dream. They needed an advocating voice looking out for them. I believe the Register of Deeds can play a more active role in protecting these families, by offering resources on how to navigate through the responsibility of homeownership. These are the people who need an advocating voice in government the most. These are the people that this office can and should evolve beyond its more traditional and archaic present to become a sophisticated utilitarian public resource. Because when owners are invested in their neighborhoods, when they are informed and educated, they bring a more passionate commitment to all aspects of collective responsibility. Helping communities take shape and maintain their identity, keeping citizens aware, engaged, and invested for many years. Homeownership builds families, educates generations, and provides retirees with the security they need to continue their pursuit of happiness. That’s the American Dream and I believe the Register of Deeds can play a vital part in preserving that dream. My vision for this office is to bring it into the 21st century. To create a public service that provides a modern digital resource and educates current and aspiring homeowners of Suffolk County as to their rights and responsibilities as property owners. We need to rethink how this office is used as a resource to the communities it serves. The antique model of a registry that simply houses public land records, row after row of filing cabinets and storage boxes, is outdated and unproductive. Communities need informed property owners to thrive, but at present when questions arise and livelihoods are put in jeopardy, people don’t know where to turn. I want the Register of Deeds to be a first step to help people start to find the answers they need to maintain that security and preserve their neighborhoods. The Suffolk County Register of Deeds website hasn’t been updated since 1999. But a new website isn’t enough. Most critical information about homeownership is already out there, but it is also all over the place. Between existing resources like the Secretary of State’s office or the Mass Land Records Report, local city homeowner groups or local and national news articles, a lot of what you would need to get started is there, it’s just hard to find below the fold and through all the noise, traffic, and algorithms. My vision of the Register of Deeds has a more sophisticated digital presence, one that uses all channels of online media to provide people with a consistent place to turn in finding the resources they might need. This would not be providing council, but instead an online platform where questions could be guided to the proper channels. The responsibility of homeownership would still fall upon each individual or group, but access to preserving that responsibility would be found in the same place your journey began. I will more effectively use the existing budget of the Registry to expand its impact without expanding its bottom line cost to the Commonwealth. Right now there is more than enough resources in this office’s budget to provide a more effective clearinghouse for vital property ownership information. On my first day in office I would work to restructure the budget to better serve the members of this county and get that money working to transform the office and its services. Providing a public resource to help level the playing field, advocating for those who need it most, and making the dream of home ownership available to all. There are some vying for this seat who would prefer the electorate remain disinterested, disengaged and uninformed about this office or this race. They are relying on low voter turn out, the presence of a few yard signs, and the assumption that people will just vote on name recognition. But I see this race as an opportunity to transform an existing government office into the kind of resource that can maintain the great foundation of our economic strength. As property values continue to rise and residential development keeps growing in Suffolk County, it is important that questions of property ownership have a place to be answered or guided. That the government work to protect the families and communities who helped build the foundation on which this new economic prosperity has flourished. As a woman and a person of color there was once a time when those two characteristics alone would have prevented me from owning my own property. But government changed, our nation evolved, and the vision of new leadership helped shift the trends of our past to usher in a new wave of American Dreamers. Now a time has come for a different approach to how this office serves its constituents and fosters that same dream. 20 years ago owning a home may have been the furthest thing from my dream, but now I dream of a future where the prosperity of that dream can become a more tangible reality for those who wish to attain it now and for generations to come. I believe the government resource that helped you acquire the wealth of owning property should be the same resource you turn to in preserving that wealth. 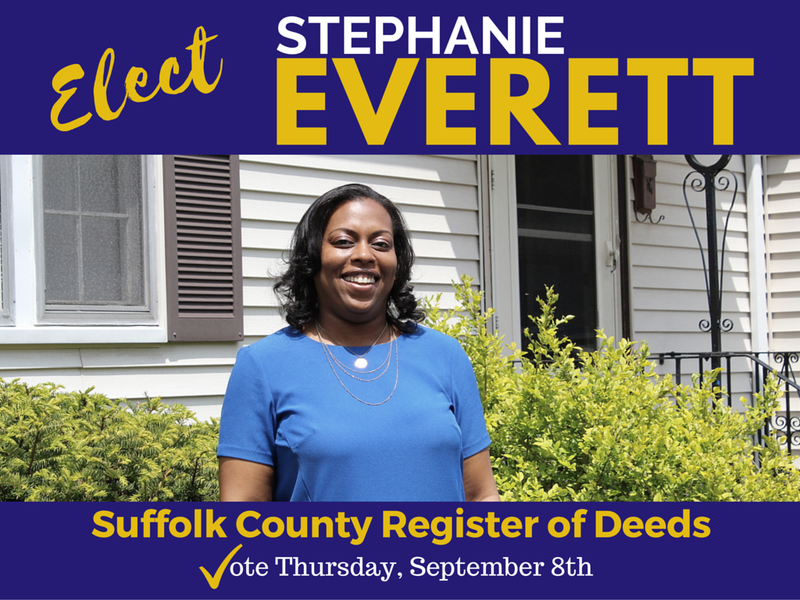 My name is Stephanie Everett and I’m running for Suffolk County Register of Deeds. 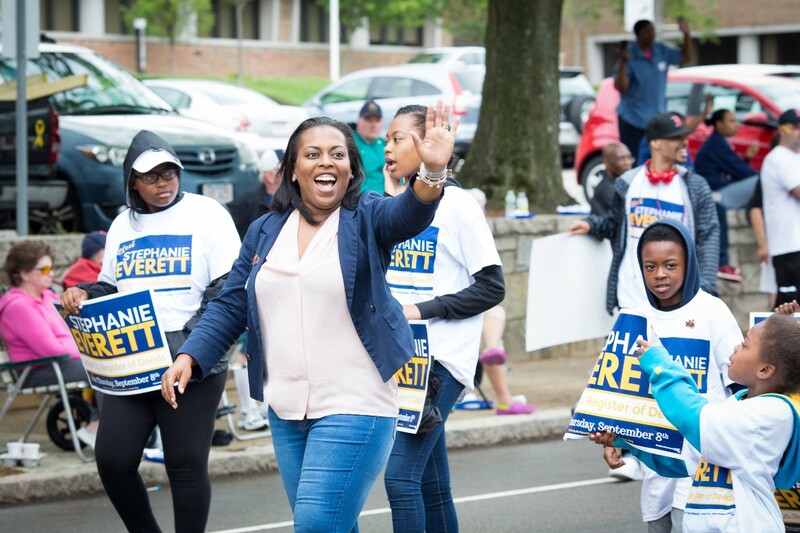 Stephanie was born and raised in Mattapan, where she currently resides with her husband and children. Stephanie has firsthand, personal experience with the impact properly managed government programs can have at opening doors and changing lives. She was a participant in the METCO program and graduated from the Boston Public Schools. Stephanie holds a B.A. from Northeastern University and a law degree from Suffolk University. Follow her on Twitter (@SEverettBoston) and on Facebook (SEverettBoston).